Apollo Hospital runs various educational courses and Apollo College of Nursing is also one of the colleges that are being run by the Apollo Hospitals Educational Trust. There are nursing colleges run by the trust in various parts of the country and Apollo College of nursing Chennai is one of the most famous colleges. The Apollo College Of Nursing strives to provide the best nursing education to candidates from across the country. The education provided ensures that there is continuous quality improvement with the use of the best cost effective current technology. Apollo Hospitals and Educational Trust. The candidate should have passed 10, +2 any subject or Vocational Nursing group with 40% marks. Female Candidates only are eligible. a) Upper age limit for admission into the P.B. Diploma nursing courses is not present. b) Pass in DGNM or BSc Nursing. c) Should be registered in the TamilNadu nurses and midwives council or equivalent. d) Successful completion of ANM course. a) Not less than 17 years as on 31st December of year of admission. c) Pass in 10+2 or equivalent with Physics, Chemistry, Biology or Physics, Chemistry, Botany & Zoology. One year experience after DGNM qualification. Applications for the DGNM course can be obtained by sending a Demand draft for Rs.500. For Ph.D in nursing, the DD should be for Rs.1000 . And for all the other courses, the DD should be for an amount of Rs.750. Demand draft should be taken in favor of Apollo School of nursing for DGNM. And for other courses, it should be in favor of Apollo College of nursing. The DD should be payable at Chennai. The selection of candidates is only based on a written test and interview that will be held with multiple choice Questions. The questions will be based on the qualifying exam. For example, for DGNM and for BSc(N) courses, the questions will be from the 12th standard Physics/Chemistry/Biology/ General knowledge/ English subjects. For MSc(N), questions will be based on the BSc(N) syllabus. Based on the performance in the written tests, shortlisted candidates will be called for a personal interview. Original certificates will need to be produced for scrutiny at the time of this interview. Candidates selected in the interview will have to undergo a medical examination. Admission is subject to being medically fit. The reservation category students belonging to SC/ST/BC/MBC/DNC community shall approach government for scholarships. The scholarship provided from District Adi Dravida Tribal Welfare Department and District Backward Classes & Minority Welfare Department, Thiruvalloor. Clinical facilities: A nursing student will not become experienced in treating and caring for patients by reading textbooks alone. Adequate clinical facilities need to be present for the nursing student to gain experience. Apollo group of hospitals in Chennai has more than 1000 beds in various specialties. This provides the right kind of environment for nurse students to learn. The patients presenting with varied diseases provide a good learning experience for the nurses. Library: The Library is a place of learning that enhances and facilitates student learning. 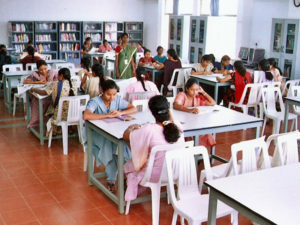 Apollo College of nursing Library boasts of several Reading Rooms and a separate Journal Section. Additional facilities are available for Photocopying as well as data processing and Internet browsing. There is an excellent collection of books and journals from both Indian and other country publications. Labs: The laboratories in Apollo College of nursing, Chennai are well equipped. Labs are available for Anatomy and Nutrition. The Fundamentals of Nursing and Maternal Nursing labs have mannequins for simulation learning. The Child Health Nursing also has a separate lab. Community Health Nursing and Maternity Nursing departments also have adequate facilities. 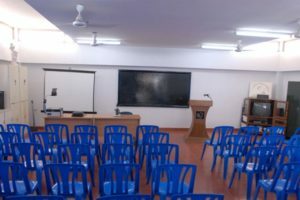 There are also Audio Visual Aids and Computers available. They offer best learning facilities to develop the technical skills before the students have practice on patients. 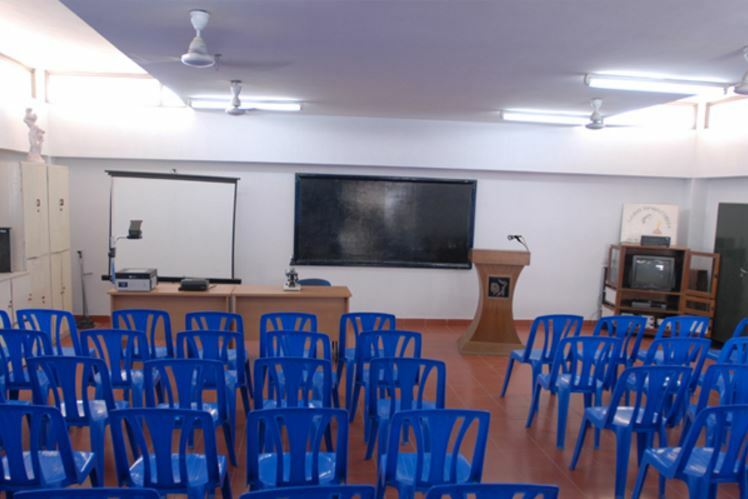 The faculty : student ratio is maintained at 1:10 and this helps in effective learning by students. All the faculty are well experienced and well qualified. The administration of the Nursing college is by the Principal of the institution who is an able administrator and a senior faculty. Mrs.Latha Venkatesan, who is the Principal of Apollo College of Nursing is also a governing council member of the TamilNadu Dr MGR Medical University. The hostel block has been built in international style. It stands as a unique and distinctive structure in the whole of the campus. It is indeed a home away from home for female students. The hostel provides excellent living rooms, recreation facilities, sanitary facilities and regular supply of water all through the day. If you are not interested in staying in the hostels, you need not worry. There are adequate number of working women’s hostels available in Chennai. And these hostels are safe and are available at affordable rates. There are several curricular and extra curricular activities that keep the nursing students busy all through the year. Some of the extra curricular activities are those like Youth Red Cross, NSS and Student Nurses Association. •	100% academic results has been achieved right from the inception of the college. •	University Ranks and Gold Medals in all the programs successively for the past four years. •	Won trophies and shields in state and National level sports and cultural competitions. •	Secured National awards for distinguished services in the field of health and education. All the Graduate Nurses graduating from the institution are absorbed for employment. Most of them are employed in any one of Apollo Groups of Hospital / Educational Institutions. But placement is subject to presence of vacancy in the hospital / Educational Institution. 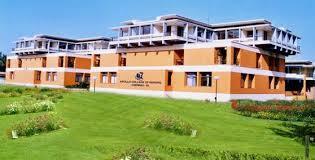 The advantage of being placed in Apollo College Of Nursing is that it is a reputed institute. It is also easy to obtain excellent references from the hospital to work abroad. The fees is Rs.90,000 per year. This includes only the course fees. Thank you. The hostel fees is approximately Rs.2000 per month and the cost of food is about Rs.2500 per month. does anyone scored state rank in 2016? In 2016, the exams are still being conducted by the university. Results will be published in November 2016. In 2015, there were 2 students who obtained university ranks.